How to define your brand positioning and get your messaging clear to attract the right kind of clients to your company. Trying to define out your ‘brand positioning’ as an estate agent isn’t easy. If you’re a small local independent, you will be up against the big boy corporates, and the back-bedroom start-ups. But this isn’t ‘positioning’. To understand and define your brand positioning, our British supermarkets hold the key. M&S Food, Waitrose, Tesco, Morrisons and Lidl. After a bit of Internet surfing and discussion with my friends, I came up with these three brand values for each. They aren’t definitive, and they certainly aren’t official. They are most definitely open to interpretation, but let’s start somewhere. When I’m working with agents on their branding, I ask them which supermarket they prefer, and I find them to be pretty loyal to one or two. Maybe you are too? I certainly am. Being a good Cumbrian girl, I love Booths; it’s kind of Waitrose with knobs on. I enjoy the experience of browsing quality food, checking out their lovely own-brand ranges and being treated like a VIP with my Booths’ loyalty card. And I’m prepared to pay a few pence more per item for that experience. But when it comes to buying boring stuff like shampoo and floor cleaner, I’m a Tesco online shopper. It’s easy, quick and cheap. No experience to speak of, apart from the chatty delivery driver who always throws a ball for my dog as we unpack the trays. In other words, if your brand were a supermarket, which one would it be? Which one is most closely aligned to your company values? So after thinking about it for a moment, my client in sunny Donny told me he wanted to be the Waitrose of agents in his area. His office is certainly stylish and well-located, his staff beautifully presented and his ideas are fresh and innovative. But that’s where it ended. Because when we looked at his marketing material, his canvassing letters, his property photography and his Rightmove ads, he was definitely more towards the Lidl end of the market, by his own admission. If you’re not aligned with your brand values, clients get confused about your message. Imagine a TV ad showing an M&S dessert, all luxury and decadence, with a bright yellow 99p price banner on it. Or a Lidl ad for a ready meal, at £20. Your brand values, message and visuals all have to be in alignment to bring consistency and build trust in your company. I like to think of these as ‘watchwords’; guiding principles to help filter all your activities as a company. For example, at HomeTruths our brand values are, expert, caring, charming, authentic, discerning, creative. We use these brand values to check all the contact points a client – or potential client – has with our company to make sure we are true to our values. This is not easy to do; I know, because I’ve worked with agents many times to help them decide on theirs. Start by making a list of all the ways you would like to be described, then whittle that list down to no less than three, and no more than six brand values you can use to guide your brand messaging. You may find these change over time but that’s fine, this process is often organic. Look at these touch-points and ask yourself, are they all aligned with your brand values? Are your blogposts singing the same message as your viewing feedback? Do your social media updates live up to the expectations of your brand values? Be critical and examine closely every point of contact; make notes of any you feel fall short of your goal of consistency and authenticity. Once everything you do is telling the same story, you’ll find it much easier to spot when something is out of alignment, as it sticks out like a sore thumb. Brand consistency is a habit, and practicing it will improve it immensely over time. 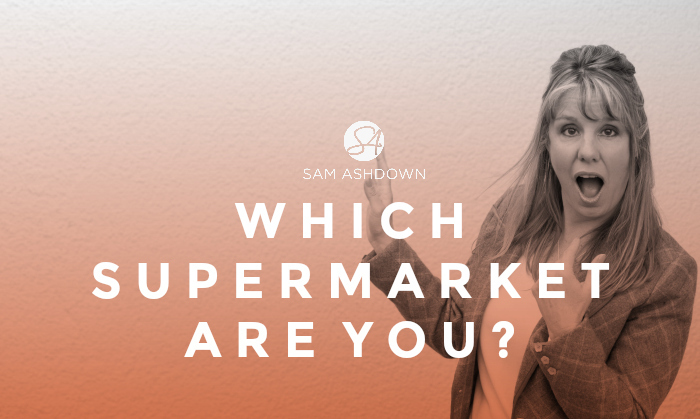 If you’d like to have a chat about this, drop me a line at sam@samashdown.co.uk – I’d love to hear from you! What to read next: How different are you? Previous post Is your website working?